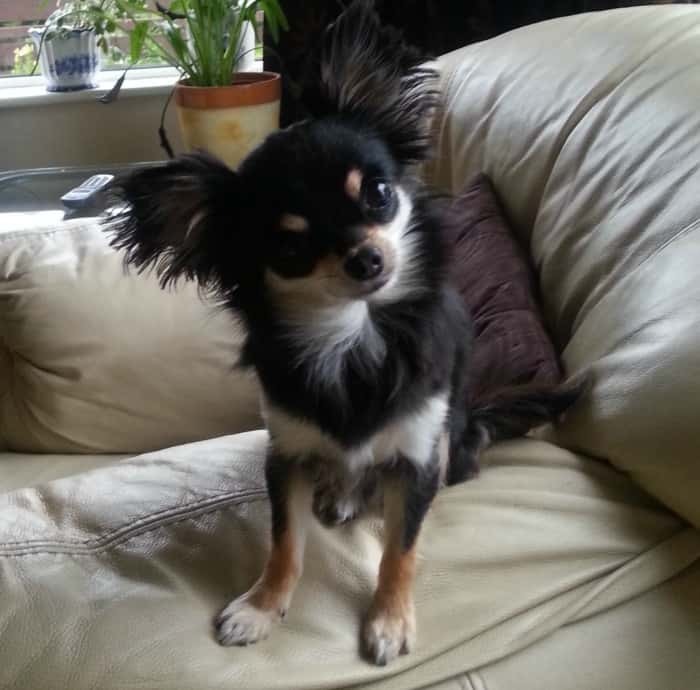 Small breed dogs, especially Chihuahuas are well known for their habits of barking more than their larger brethren. Barking at sounds, people, other dogs, the door bell and even when left home alone can become embarrassing, annoying and uncomfortable for the humans in the household. 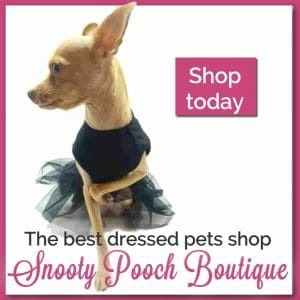 Neighbors may become upset when your Chihuahua barks throughout the day and guests can feel startled as your Chihuahua rushes at them in a mad, barking fit. 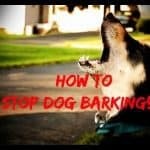 You can help your little dog resolve his barking problems, but first you must understand the reasons why he barks. 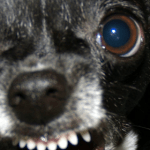 Reactive barking is one possibility as your Chihuahua barks at things he fears. Barking can even be a release behavior for a bored or anxious dog when left home alone. Resource guarding is another cause for unnecessary barking. 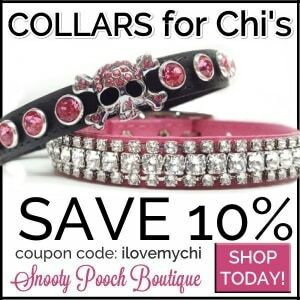 You can help your Chihuahua through them all! Dogs don’t bark to talk the way humans do. Each bark does not translate into a word like noises from human vocal chords. Instead, you have to read his behavior including body language during the event of barking. This way you can learn if he is being fearful, such as exhibiting fear aggressive body posture or if something else is going on. He may be barking out of excitement or boredom, too. 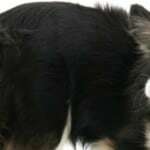 To get the full picture you also need to read the context in which he is barking. The context is his environment and what is going on around him. If your Chihuahua barks when someone knocks on the door, then he could be barking at a scary noise or at the anticipation of guests. If it is the noise, then he has a reactive behavior that can be corrected with counter conditioning. If he is barking out of excitement to greet guests then he can be trained to remain calm and relax in a designated place until allowed to greet everyone. 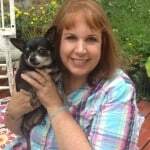 Even barking that seems aggressive is usually coming from fear, and counter conditioning can really help your Chihuahua feel more comfortable and confident during his trigger. 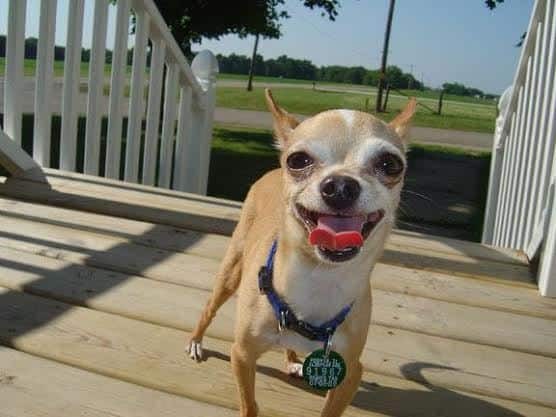 If you cannot pinpoint your Chihuahua’s trigger then don’t try and train him out of barking on your own. Get help from a professional trainer to take out the guesswork on your part and help solve your dog’s behavioral problem. Sometimes a trigger may be difficult to pin point if your dog seems to bark at everything. He may have many triggers that steam from improper or no socialization as a young puppy. Socialization can be a very tricky thing to get the hang of for new owners and owners that have not learned the right way to do it to benefit their pet. Socialization means more than just meeting people and dogs. In fact, if you make an attempt to let strangers pat your dog’s head and other dogs sniff his rear when he does not want it, you can cause your dog to become a problem barker quickly! 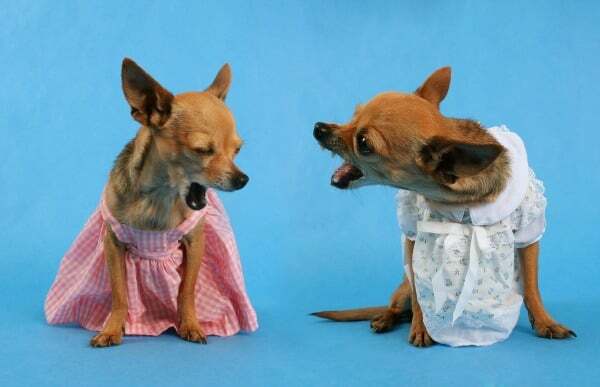 Socialization is not the one and only reason that dogs bark in a reactive way, but it is a high probability when we’re talking about adult Chihuahuas. You can stop your dog’s needless barking using positive reinforcement during brief training sessions. Always start any new training session in a quiet and familiar place if possible. For example, if your Chihuahua’s barking is directed at a door knock, then start sitting some distance away from your door in a distraction-free time of day. Knock once on the wall or on your floor, and immediately give your dog a bite of a high value treat, like real meat or cheese. Provide the reward before they get the chance to start barking. This is one reason for doing only one knock instead of repeated knocks in the beginning. Do this for about 5 minutes. You want your dog to begin to expect a treat after every knock they hear. The knock should be a precursor to receiving a reward. Counter conditioning such as this is a method of changing your dog’s emotion about his trigger. If knocking scares him, then starting out in short, calm training sessions with high value treats will help him to begin feeling positive about his trigger. However, his behavior will not change over night. In fact, it can takes weeks to months before he is totally comfortable. Keep in mind that his reactive barking has become a self reinforcing behavior. He does it because he is unsure about what is happening when he hears the knock. Continuing to build your dog’s confidence during knocking, in your following sessions begging to knock a little louder and maybe 2 to 4 knocks at a time. Build this criteria slowly and at your dog’s pace, not your own! If he begins to bark during your sessions, you know that you have moved too fast. In time you will be able to knock on your door like a guest would and reward your dog for not barking! In the meantime, keep your dog in a quiet and safe room away from noise when you are expecting company. If it is a doorbell instead of a knock that sets off your dog’s yapping, try to obtain a recording of sort of the sound that you can play on your phone, tablet or CD player with full control. Start with the sound very low and gradually make it louder until you can ring the doorbell for real! Eliminating reactive barking at other dogs and strangers requires you and your dog to take a walk or go someplace you normally would in which he would bark. However, be sure to have the highest value treat available on hand. Let him know you have it! Stay at a safe distance from his trigger, but allow him to see it. Every time he sees it, give him the treat. Hopefully he will be rewarded before the barking starts, but even if he does throw off a round of barks and growls try to treat him anyways. Remember, the trigger should always be a precursor to a reward! Changing a dog’s behavior from problem barking to being a calm and happy dog takes time, commitment and consistency from you. Give yourself and your dog a break from the nerve wracking barking, start training him today! Thanks Paul! You gave me a laugh tonight! Tried squirt bottle, citronella collar, shock collar, whistle, clapping, saying NO, all to no results. She is 2 1/2 and I have given up. Tried the treat shaking in container to distract her (them). Have two females. The older one is putting on weight because of so many treats. Vet says not good. Any suggestiions??? Sometimes it takes awhile to get through to them. If you haven’t tried any one technique for a month, try one and work it consistently for at least a month before giving up. If there are any positive signs of improvement, instead of giving treats, just praise them alot. If things don’t improve, then the only other thing I can suggest is a trainer preferably one who specializes in behavior modification. We figured a way to get our little guy to stop barking at everything. We use a water bottle every time he barks and now he does not bark at everything. I have used that before too Melissa but I used it when my dog would growl at my cat. This is my my little girl Piglet. I hope you let us stay she is chi x mini foxy and we are traveling around Australia. She is smart, loving and very funny, she has the best kisses ever. We love looking at the photos of all the cutie pies in the States. One thing you can try Candy is to have your husband keep some treats with him when he comes into the house. When she barks at him, have him show her the treat. If she stops, he should praise her and give her the treat. I do believe that any dog has to bark at certain things. That is what dogs do. 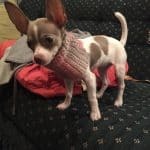 You cannot stop a dog from barking altogether!, My chi Porsha, barks at noises, people that she sees walking outside, from window, even my husband when he suddenly comes into the room. She is such a good dog and I don’t really want her to just not bark at all. I feel that it is part of her personality. Maybe one day she will alert me to stranger danger!! That’s true Marnie and I don’t mean this article to stop all barking, just excessive barking. Some chis (and other dogs too) bark constantly. My Bella simply loves to bark. I think she loves the sound of her voice. She loves to run out into the yard running around barking and strutting her stuff. She barks at everything. I mean everything. And she barks at nothing. I gave up trying to make her stop. That seems to be a chi trait. They do love to bark. I think it makes them feel bigger. My female chi, Jojo is now 6 months old. She used to love everyone she met but now barks like crazy at every stranger. Today she bared her teeth at the little girl next door when she approached. I really don’t know what to do about it. We used to walk a lot and she was used to strangers but winter has set in and we are housebound. Any suggestions?